After hosting a video, do you ever wonder why nobody visited your link? Or maybe they didn’t sign up for anything at all? Or perhaps they kinda fell off halfway through out of disinterest? In this vlog, I’m gonna tell you how to get people to WATCH your video in the first place, how long or short your videos should be, and how to actually get people to take ACTION after watching your video! Your brand is a reflection of all the culmination of your content, so no matter how early you are in your business-building journey, it’s always a great time to start creating video content. 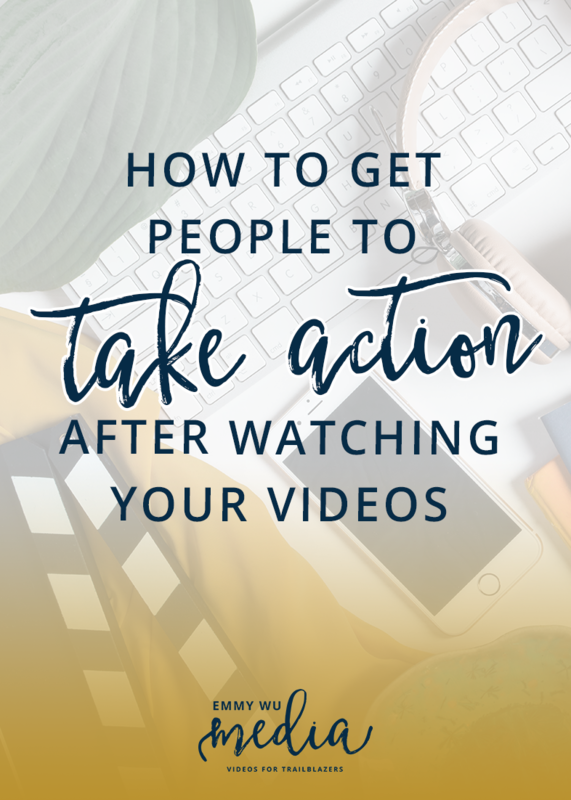 Here are my top tips on how to get people to take action after watching your video. When you know your end goal, you can reverse engineer your content so there’s a natural progression from your free content into your paid offerings. Not sure what I mean? List it out. What do you want people to DO after they watch your video? Let’s say that it’s sign up for your waiting list. Then, take it backwards. How are you going to segue into, “Hey, btw, sign up for my list!”? It should be smooth and easy to get into. Then, all of the content before that is much easier to create since the pressure is off! YOUR CONTENT REFLECTS THE NEEDS OF YOUR AUDIENCE. what your audience is already thinking and asking because this means you’re speaking directly to the prospects who have already identified a problem or challenge that they’re trying to overcome. I hope that makes sense! Don’t focus on quantity. Many viewers will drop off within the first 10 seconds, so instead of asking “how long should my video be?”, get really intentional with your words and content. People will continue watching if you give them a great reason to! The coolest part is that all of that will actually show up on desktop in their little preview pop-up! Nifty! CALL OUT TO YOUR AUDIENCE DIRECTLY. When you start your live stream, address them directly. Are they busy mamas? Then say, “Hey busy mamas!” You need to start using THEIR language if you want them to stick around. At the beginning of your video, you should start with benefits so they know what to expect. Ie., using the same example as above, “getting more visibility on social media will help you book more clients, increase your revenue, and secure speaking engagements.” < that’s benefits of what your tutorial or live stream will provide for them. This encourages them to stick around and watch! SHARE A CALL TO ACTION. At the end, as we discussed before, arc into your call to action. Let them know what next steps they should take and WHY. Expressing a sincere desire for them to be helped, educated, have their problems solved, etc, is excellent for encouraging them to click on the link or take the next step. Have questions about getting people to take action after watching your videos? Comment below!